Photos courtesy of terri henry marketing of the 2014 CANstruction event. The Queen Mary designed and constructed by the P2S/MHPSE team. Canstruction, an innovative charity event where teams construct “colossal” structures made of cans of food and other nonperishable food items, was founded in 1992 to promote the design community and raise food donations for hunger relief efforts. 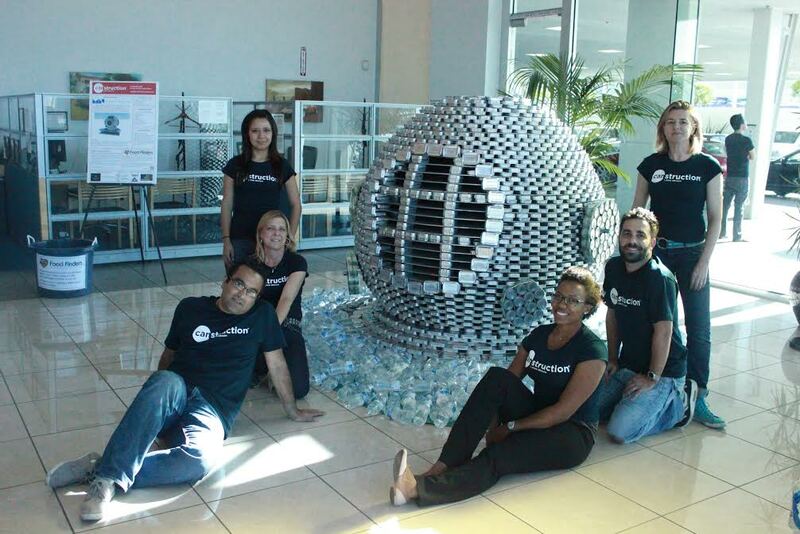 The Long Beach Convention & Visitors Bureau, Downtown Long Beach Associates and SCAN Healthplan will work with terri henry marketing LLC to throw the second annual CANstruction Long Beach this year to benefit Food Finders food rescue and food bank. Since the competition’s inception, events have been held in over 140 cities worldwide and have accumulated over 15 million pounds of canned food in an effort to alleviate hunger. Now Long Beach will host its second event and is calling all local architectural, engineering, contractor and design firms to apply to put their skills to the test in this friendly yet demanding competition. Teams must have a minimum of five members and must be led by a professional in the design/construction industry such as an architect, engineer, contractor or professor of any of the aforementioned disciplines. Teams are required to design and construct 10’ by 10’ by 10’ structures that will be judged, exhibited to the public, then dismantled and donated. According to Henry, five teams have committed to the competition so far, while two spots remain for teams to apply before the July 1 deadline. Henry said that seven is the limit, but eight participants can be squeezed into the Landmark Square Building lobby if needed. Teams are responsible for acquiring all canned food used in their structure, however a “little” help from S&W Beans, which will be donating 510 cases of butter beans for use in the competition (and donation afterward), will give a whopping 800 “building blocks” for each team to use in their design. The Diver’s Helmet designed and constructed by returning participants Moffat & Nichol. So far the teams that have been confirmed are returning participants Moffat & Nichol and P2S Architecture in partnership with MHP Structural Engineers, along with new entrants C| A Architects, Environ Architecture in partnership with California Resources Corporation and SCS Engineers. “The 2014 event resulted in four teams competing and ultimately 8,000 pounds of food donated, and thanks to Landmark Square we have the space for even more teams to compete this year,” added Larson. The competition will take place at the Landmark Square Building lobby area located at 111 West Ocean Boulevard in downtown Long Beach. Teams will build their designs on Thursday, September 17th and will have 12 hours to complete their structures. Judging will take place during the 10 days the structures are on display while awards will be presented at the Food Finders Fall BBQ fundraiser on October 3, 2015. The structures will be viewable to the public during regular business hours through Sunday, September 27. Food Finders volunteers will dismantle the structures and transport all canned food to the Food Finders warehouse on Monday, September 28th to prepare for distribution. 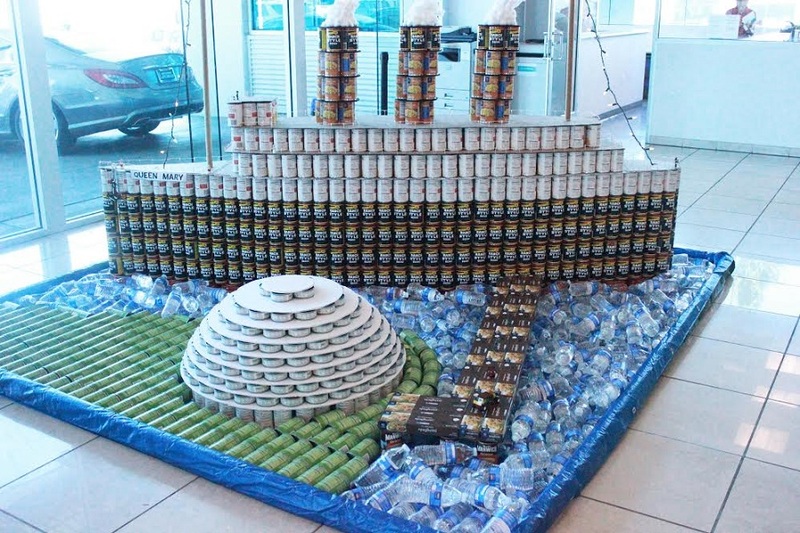 For more information about Canstruction Long Beach, click here or to fill out an entry form, click here.